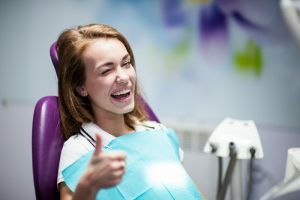 Numbing the Treatment Area – Before any work is done, your endodontist will be sure to numb the area around the tooth to ensure you have a painless procedure. Accessing the Infected Tissue – Next, an incision is made into the tooth to allow access to the infected inner area. The specialist will remove the decayed tissue and thoroughly clean the area. Filling and Sealing the Tooth – A special compound called gutta-percha will then be added to fill the vacated space, and the tooth will be sealed using dental cement. Crown Placement – Immediately following treatment, your endodontist will place a temporary crown while a permanent fixture is fabricated. When it is ready, you’ll return to have it cemented in place. One way to ease your fears is to lessen the amount of time you have to spend at your specialist’s office. The use of digital X-Rays will not only drastically reduce the amount of radiation you have to endure, but it also produces detailed images almost instantly, which makes for a shorter visit. Before the root canal procedure begins, your dentist in Jacksonville will pre-plan every step of the therapy. The intraoral camera is a great aid in ensuring a comfortable root canal procedure. This is because it allows the specialist to more accurately pinpoint the decayed area and to review the potential results of certain treatment methods. One of your endodontist’s goals is to make sure every aspect of your root canal treatment is comfortable. Therefore, if an injection is needed to deliver anesthesia, you don’t have to worry about a painful application. The DentalVibe pre-injection procedure uses vibration to eliminate pain and provide for a stress-free injection, so you can receive the anesthesia you need to have your tooth restored. With the addition of Dr. Calhoun – a highly skilled endodontist – performing root canal therapy, Dental Center of Jacksonville provides a way for you to regain the full function and health of your teeth! Dr. Andrew Calhoun earned his dental degree from the University of Florida College of Dentistry. As an endodontist, he has undergone advanced training in correcting damage and diseases that affect the inner areas of the tooth. Additionally, Dr. Calhoun maintains affiliation with the American Association of Endodontists, and he combines his years of experience with his knowledge of the latest dental equipment to provide patients with comfortable root canal therapy at Dental Center of Jacksonville. He can be reached for more information through his website.